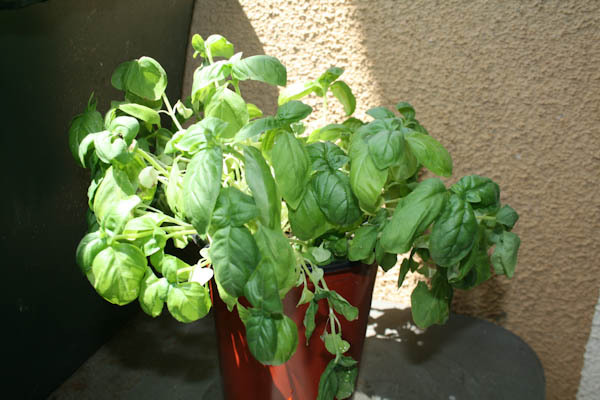 Whether you grow basil in the ground or pot, correctly watering your plant regularly and consistently is most important in having a good basil harvest. To reduce the chance of fungus and disease, including yellow or black spots, water your plant deeply in the morning. Only water the soil at the base of the plan and pay special attention to avoid splashing dirt onto the leaves. The leaves are easy to damage and do not need water themselves. Water as needed, usually everyday if the weather is hot or every other day if the weather is normal. The key is to be be consistent. Adding water erratic at any hour of the day could cause the plant to slow its growth or cause premature flowering which changes the taste of the leaves. Ensure the soil is evenly moist but not too wet or damp. It is often better to water more every few days as needed instead of watering a little everyday. Between watering, ensure that the soil has time to dry out. 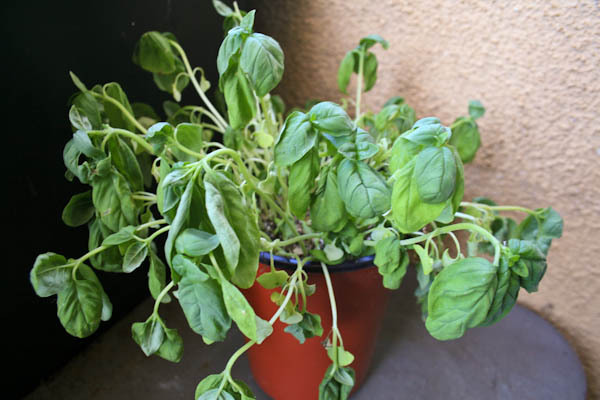 With that said, basil is still a very hardy plant and can usually handle being over or under watered. 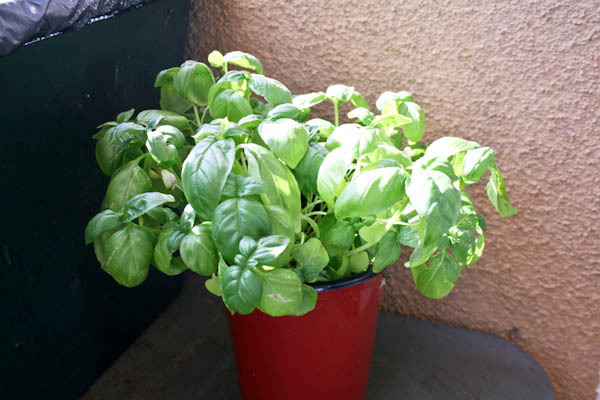 Basil thrives in warm weather and needs constant watering when it’s hot. So you forget to water your plant for a couple of days in the heat of the summer and the next thing you know, your plant is wilted and you think it is dead. More likely than not, your plant can be saved. If your plant looks dead or wilted, it might be able to be saved. If you forgot to water the plant for a couple weeks, it might not be able to be saved. But if you forgot to water it for a few days, odds are you can save the plant. Check the stems. If they are still green, and not brown, water the plant until the soil is damp. Over watering is OK in this situation. After watering your wilted plant, place it in a sunny location and wait a few hours. There is not much else to it. If the plant can be saved, after an hour, the plant should start to respond to the watering. Most of the leaves should begin sprouting back to life after an hour or two. The leaves are probably still weak and you can water again. If a few stems do not respond to the water, they can be pruned. After watering, wait another hour or two. Your basil plant, which only hours ago looked dead and wilted, should be strong and healthy once again. Be sure to continue watering your plant to keep it healthy and repeat this process next time you forget to water your plant.